The Rumored Title of "STAR WARS: EPISODE 9"
Supposedly, The Title of "STAR WARS: EPISODE 9" is going to be "BALANCE OF THE FORCE". That being said, If the title is indeed "BALANCE OF THE FORCE" then I know exactly what that would mean! It would mean that Anakin Skywalker wasn't really "The Chosen One That Would Restore Balance To The Force" as The Jedi had always believed that he was and that "The Chosen One" is really Rey and that actually would explain why she is so powerful and has been able to learn her abilities so quickly compared to others in the past. 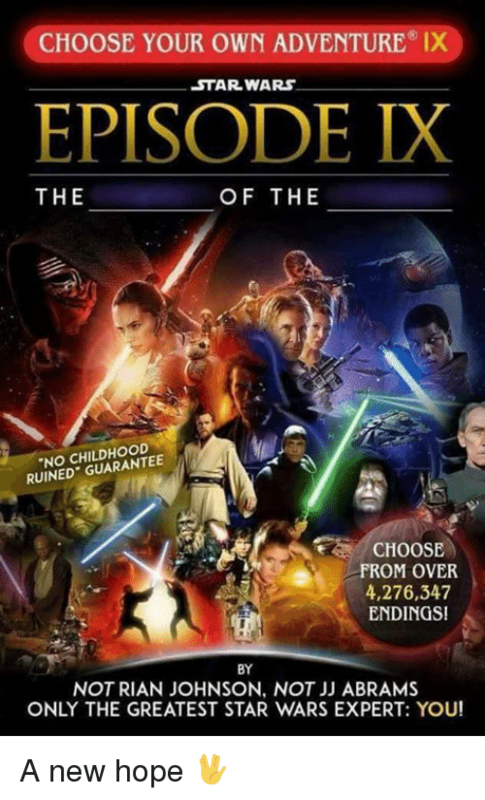 Well Now Apparently, The Title may actually not be "BALANCE OF THE FORCE".